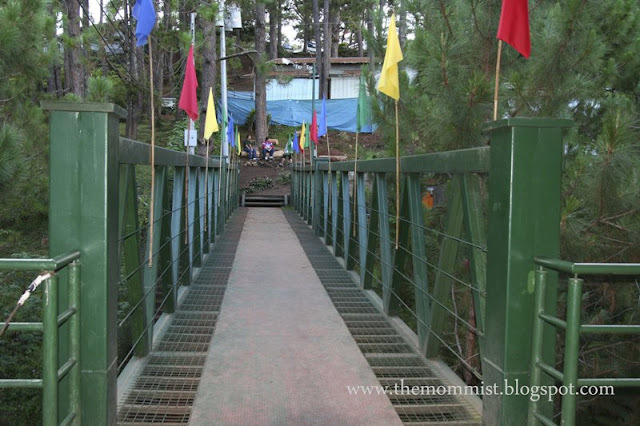 We woke up feeling refreshed and courageous one fine day in Baguio City and decided to try the Tree Top Adventure at Camp John Hay. Now, don't...again...don't do this after a heavy meal. One word - messy. 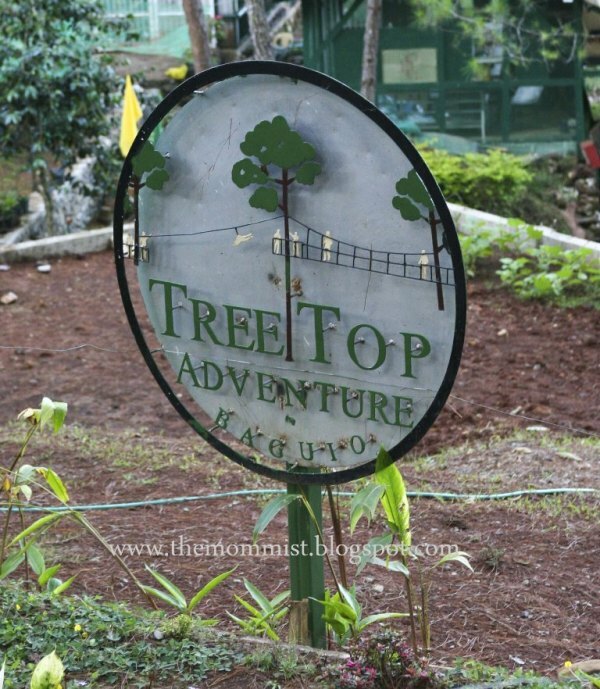 Tree Top Adventure is an outdoor eco-adventure - most of which involves basically being suspended in the air amidst the incredible view of the famous Baguio City pine trees. 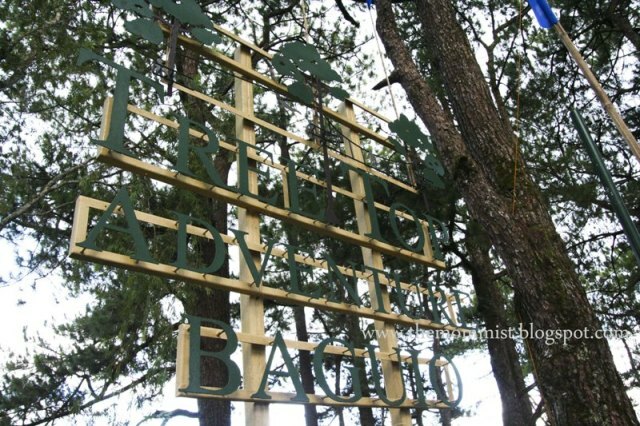 With scads of activities to choose from, there would definitely be one in there to scratch the inner Evel Knievel in you. The adventure starts by going down - and up again when you're done - these flight of stairs. to arrive at your destination. 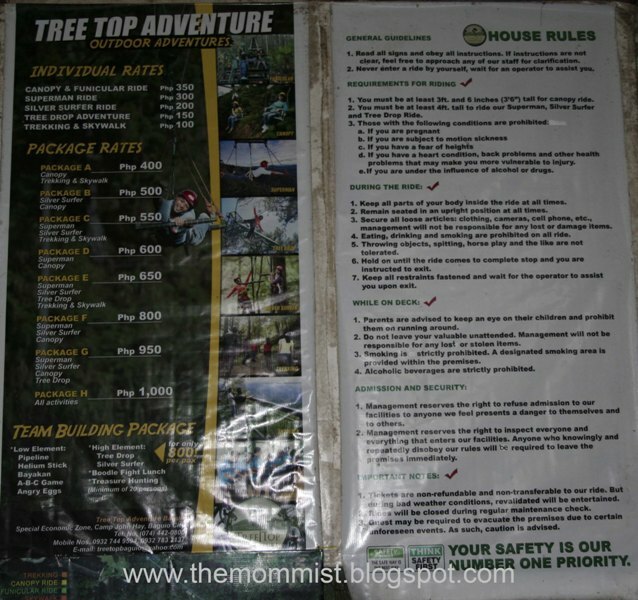 STEP 1: Choose your preferred adventure (within the limits of your heart, mind, and gut endurance) and wait to be briefed regarding house rules and what to expect during the adventure. 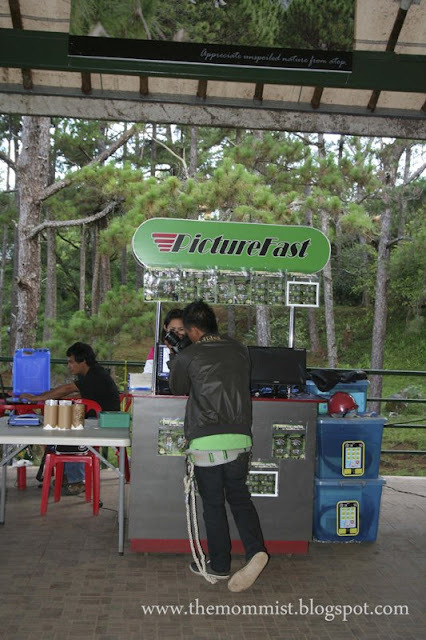 Ask all the questions that you want during this time, even the most trivial ones like "What if I need to pee in the middle of the ride?". At least you'd know what to do just in case. 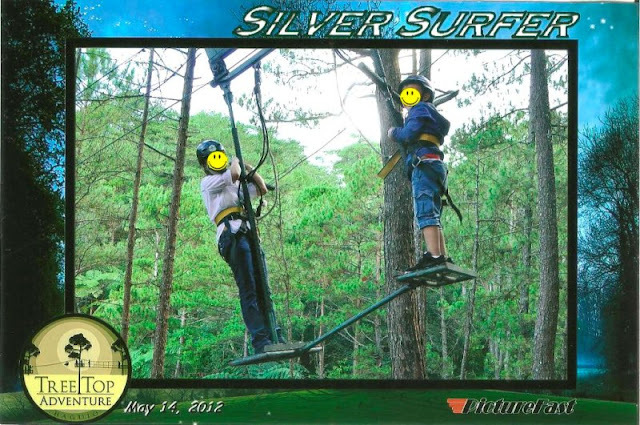 J7 (my 7 year old son) originally wanted the Superman ride but I put my foot down and picked Silver Surfer instead. Kids these days! My sister and her novio chose the Superman. Hubs and J6 (eldest son) opted to stay inside the hall because unlike us, they're not made of steel. 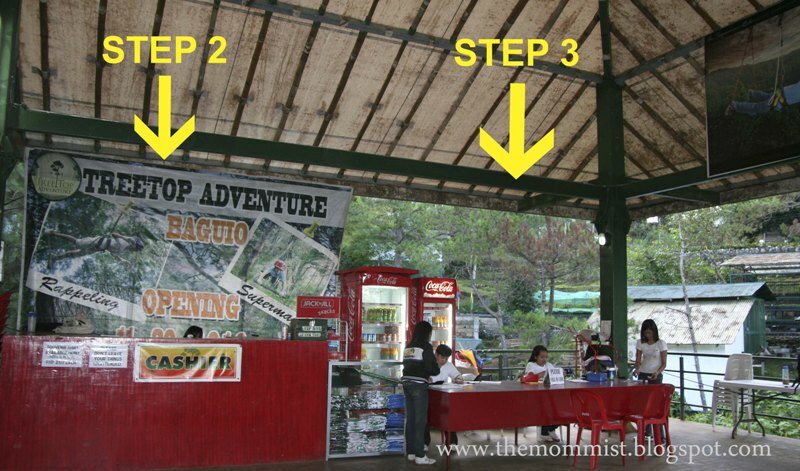 Next, head over to step 2 and pay for your chosen ride. In step 3, you'll be asked to sign a waiver which sums up to we're not liable in the rare case that you die. Kidding! Wipe that shock of your face please.☺ Where was I? Oh yeah, you'll then be given tickets and instructions on where to go next. 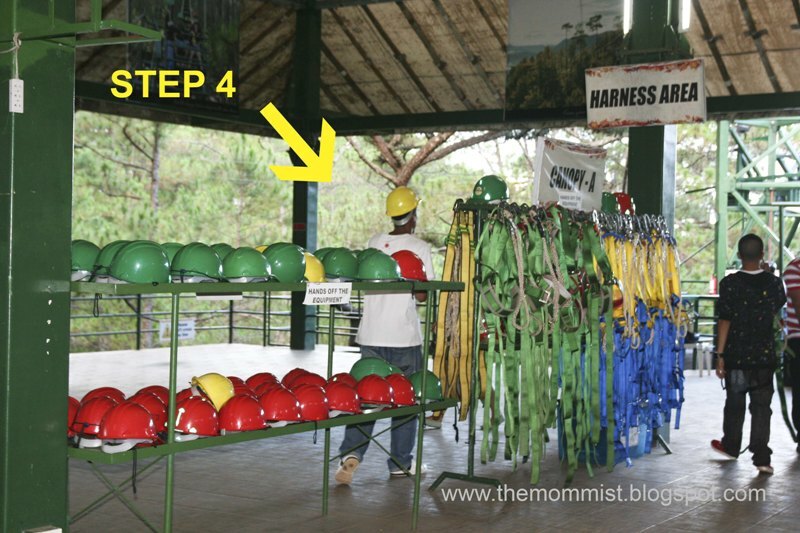 They're actually well equipped with all kinds of safety gears (harness, hard hats, carabiner, cords, trolley, backup lanyards) and they took steps to make the environment safe. I wouldn't let my 7 yr. old boy try it if I wasn't convinced of their safety measures. 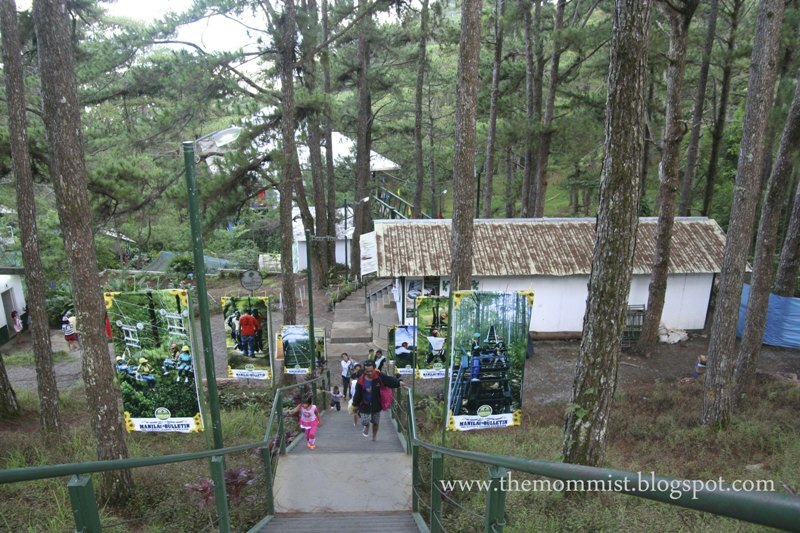 This area is for those going for canopy rides, funicular ride, and tree drop. For the rest of the rides, you have to go down a long and winding road on the side of the bridge. If you're courageous enough to bring your camera and take pictures while hanging 100 ft. off the ground, you can. No one will stop you. They wouldn't be liable in case it slips off your sweaty (and possibly trembling) hands, crash down to the ground below and the pieces get eaten by whatever kind of animals are there though. I didn't bring mine. They are lots of photogs inside so you need not worry about your very own Kodak moment (the pretending-to-be-brave-for-my-girlfriend look) not being captured. J7 and I were actually quite anxious while we were gearing up for the ride. Fine, it was just me! 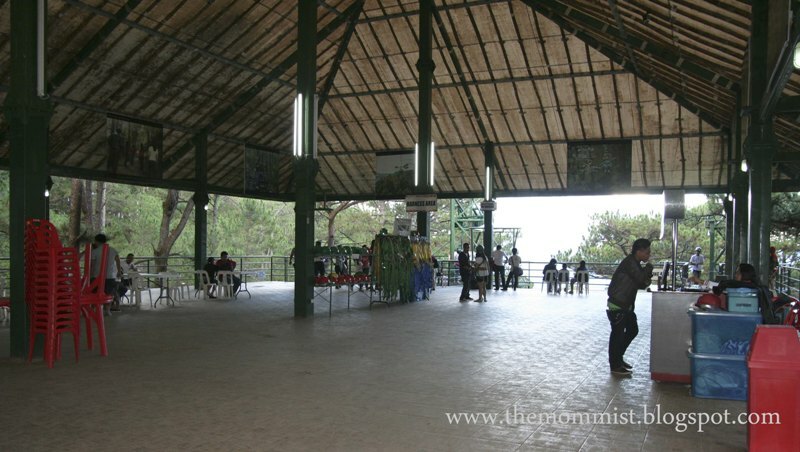 My tension immediately shifted to delight when the operator released the ledge and we started swinging! We were laughing and screaming like crazy! So fun!!! Check out the smiles on our faces. Swing sets...it's more fun in the Philippines! > There will be a lot of walking going to some of the rides (Superman and Silver Surfer) so be prepared. My sister wasn't so she ended up crying (true story) from exhaustion and not from fear of heights. >Like I already stated above, don't do the adventure after a heavy meal. Self explanatory. >This is not a contest so don't force anyone to do it because you won't get a price for braving the rides. >Bring extra shirts and bottled waters. >Take safety seriously. Have the crew triple check your gear. It's better to be paranoid than stupid. 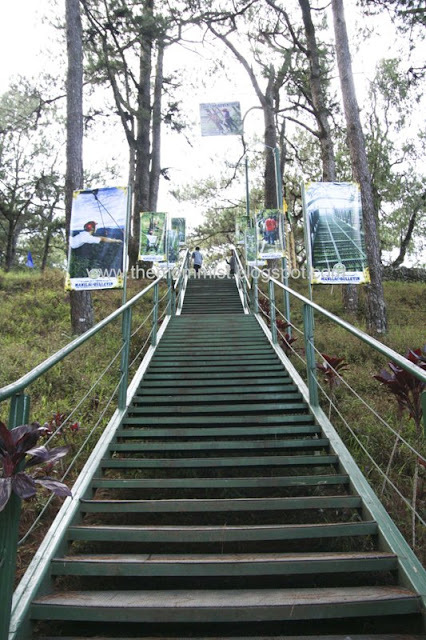 The Tree Top Adventure is done all in the name of fun. So sit back (stand-up or aerodynamically prone), try to relax and enjoy the ride! We surely did!